White quality magnetic strips for storage racks, whiteboards and other metal surfaces. Easy and flexible solution for organizing purposes. Economical in use. The white magnetic strip is flexible and can be cut and bended according to needs. These white magnetic strips are part of the professional Larko Flex series which is known for its high flexibility and solid quality. The magnetic strips are characterized by their magnetic abilities on one side and laminated surface on the other. The flexible magnetic strips are suitable for indoor use and is a particularly economical solution for storage facilities. Apply text on the magnetic strips with non permanent whiteboard marker or via dymo and shorten the magnetic strip with a scissor or utility knife. When needs are changed the magnetic strips are easily removed or a new one created. 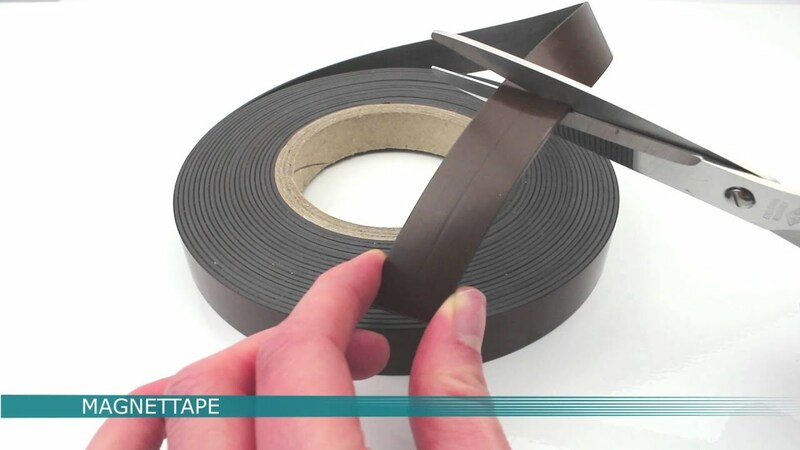 Watch product video of the flexible magnetic strip here. The holding force of these products are low when compared to the raw permanent magnets. However, it is this same weakness in magnetic holding force, which is the primary advantage of the magnetic strips and provides the products with endless application possibilities. Strength: 35 gram per cm2. If in need of a stronger magnetic strip please see the magnetic strip produced in neodymium or contact our sales department for more information. The flexible magnetic strip in white comes in several dimensions. Width between 12-100 mm in a length of 30 meters per roll. The strip is shortened by the customer according to the desired dimension. See complete list of products at “Sizes and variants”. The product is also, besides white, available in different colors. See the Flex magnetic strip in colors here. For an overview of all magnetic strips please click here. If in need of magnetic strips with adhesive tape please see the magnetic tape products here. Application is not recommended at temperatures above 40 °C.